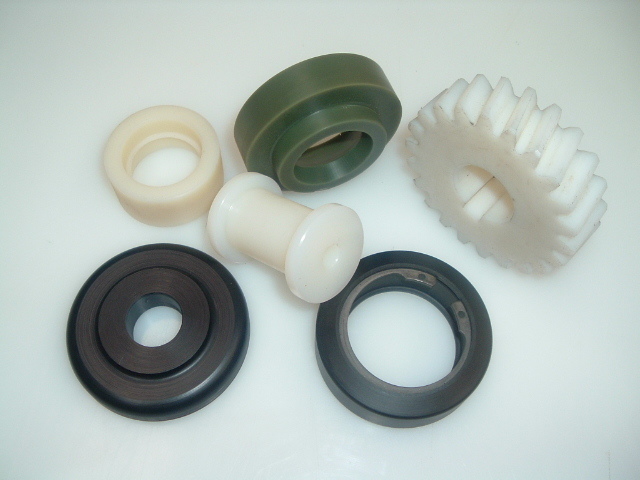 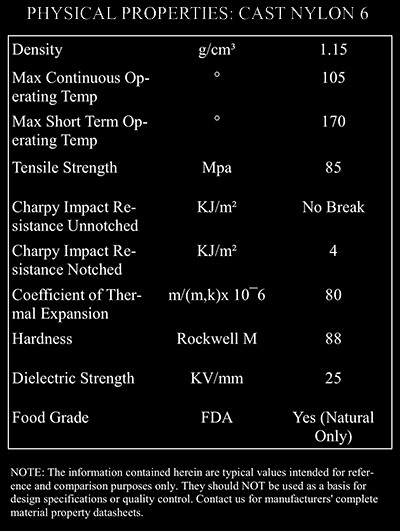 Nylon plastics are defined by their toughness, low coefficient of friction and good abrasion resistance. 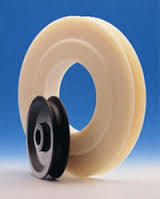 Commonly used for gears, sheaves, rollers and high load bearings. 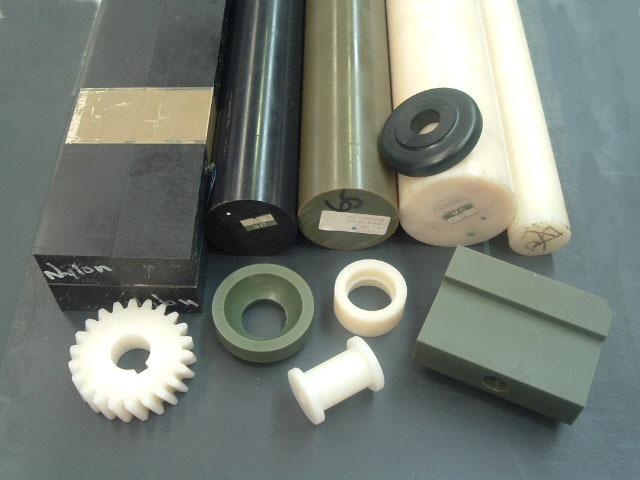 Whether you require improved machinability (Nylon 66), better coefficient of friction (oil filled), enhanced temperature resistance (heat stabilised) or in- creased strength and stiffness (glass filled), there is a variety of nylon for every application. 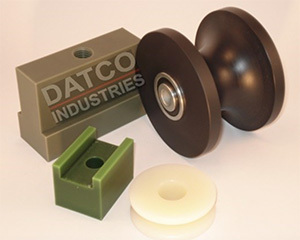 Please contact Datco to ensure the correct grade is selected for each application.